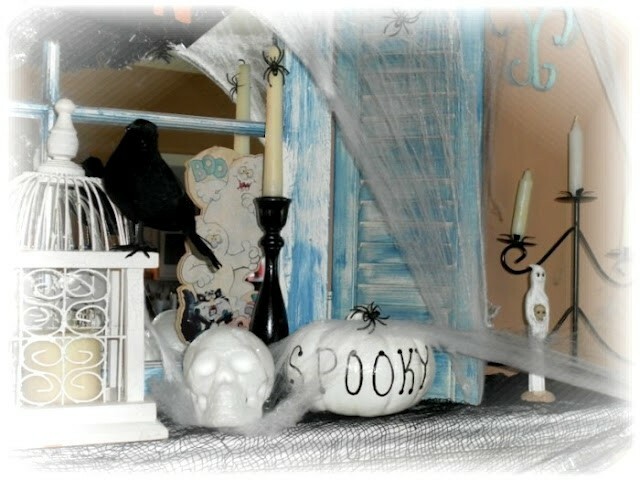 Lately I have seen many inspiring Halloween decor all over blogland and today I would like to share mine. 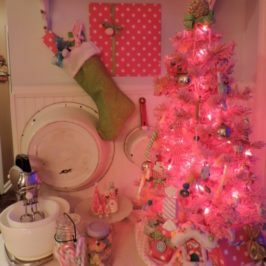 I’ve started my decorating a bit late than others this year and am still working on it but here goes…. 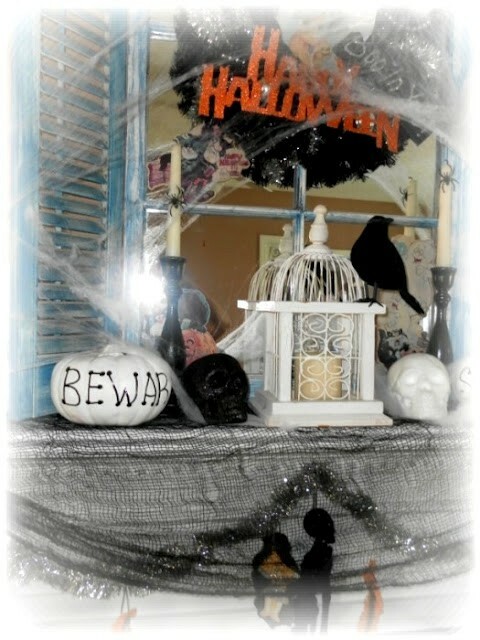 Today I will be showcasing my spooky mantle! We’ve decided to have a haunted halloween party this year so I have been working on sprucing up the place. 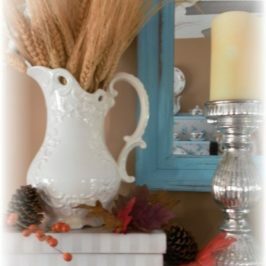 The white pumpkins were a Dollar Tree find that I painted. I think they are cute. The glittered skulls and black bird are this year’s Dollar tree find. 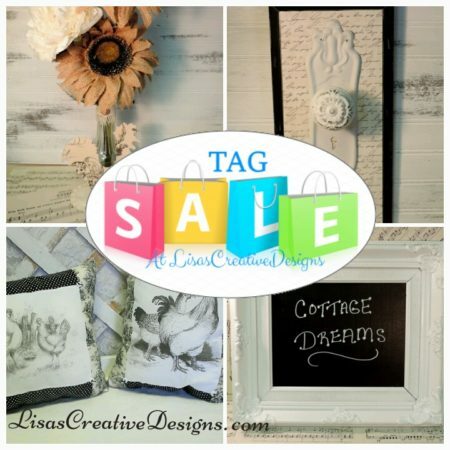 These birds are popping up everywhere in blogland and I am thrilled to have snagged a few. I bought one just like this at Michael’s a few years ago and believe me they were not a DOLLAR! The candelabra was a thrift store find I painted black. 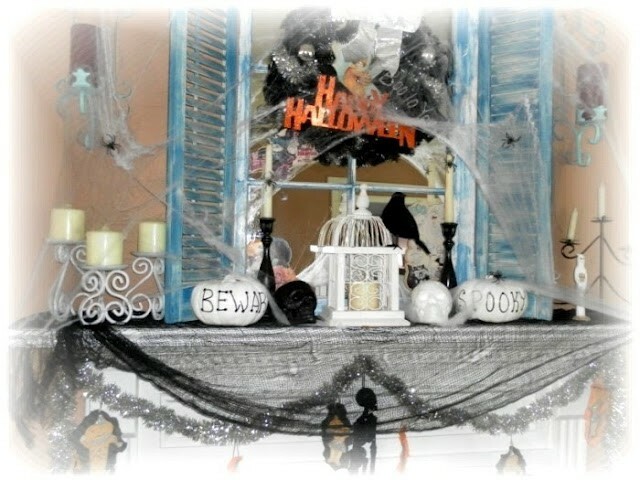 I created the wreath a few years back, the creepy scarf is from Dollar Tree too and of course I had to add the ever so popular cobwebs and spiders! 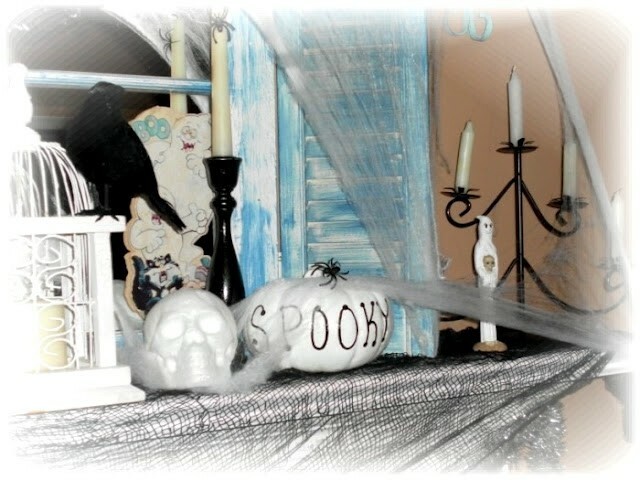 Well, that’s todays spooky project.I have much more to share so stay tuned for more “creepy” decorating in the days to come! Very cool! 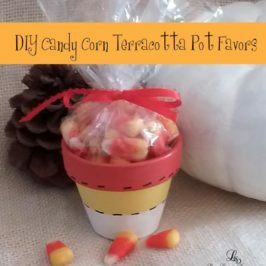 I hadn't though of just painting the pumpkins! great idea. 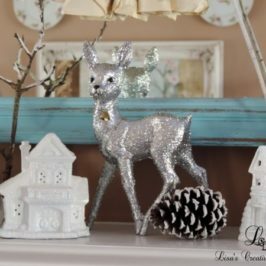 Your mantel is creepily wonderful! Looks party ready and spooky too! My first date with hubby was a Halloween party and I went as Elvira!! It's spooktacular :)! I've tried to avoid cheesy Halloweenish words but I couldn't resist this time. 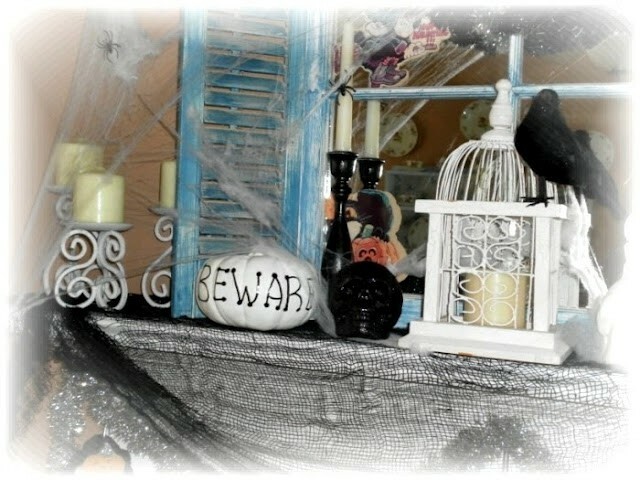 Love the Beware and Spooky pumpkins! Thanks for linking up. 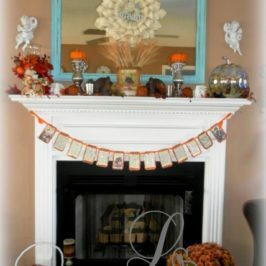 I won't have a fireplace mantel in my new house. 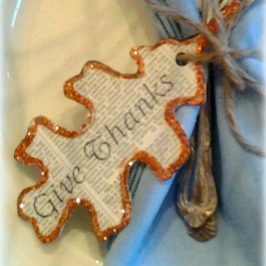 This is a neat idea for a table setting also. Great job! Wonderful creation looks so creepy!!!! Spook-tacular!! Thanks for sharing your link on our blog!! 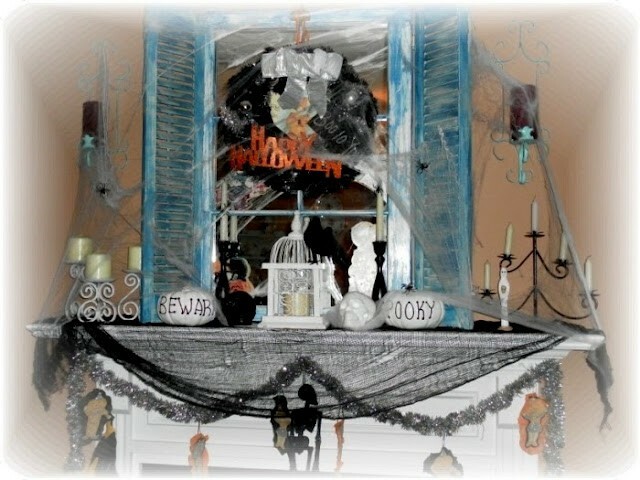 I love your spooky mantle! thanks for commenting on mine. I love looking at everyones ideas and creativity. your blog is great. hope you have a fun haunted party.